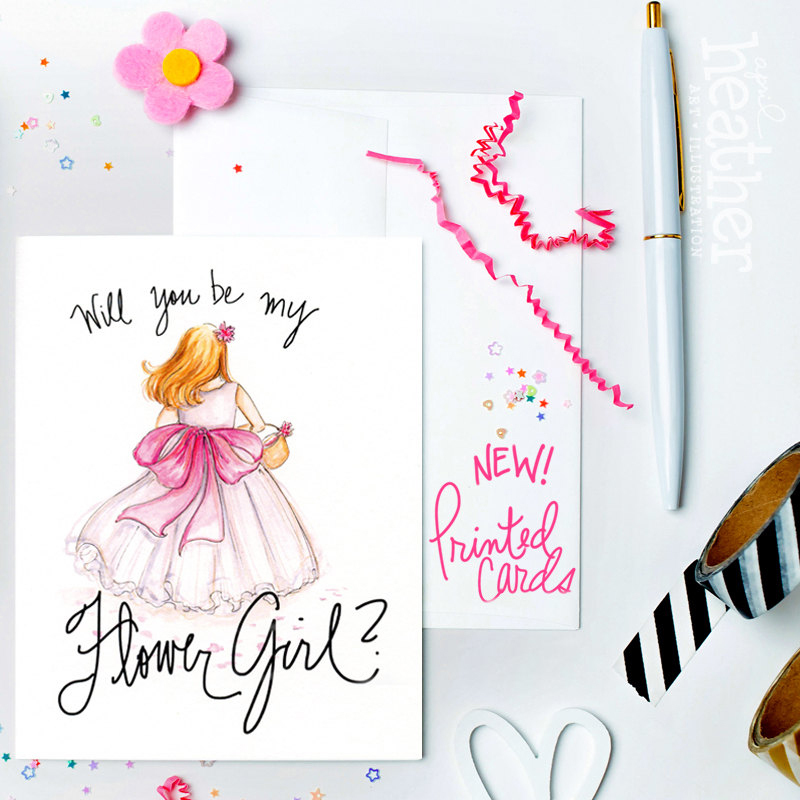 Once you've said 'Yes! 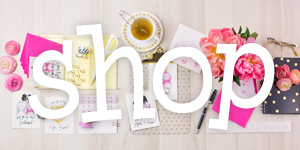 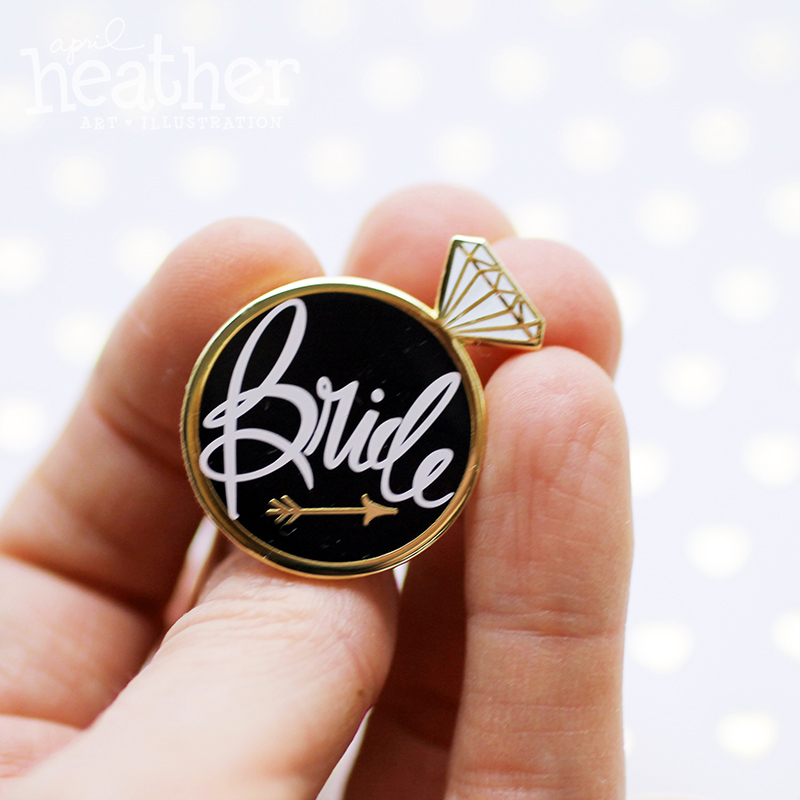 ', wear this fun keepsake enamel pin on your lapel. 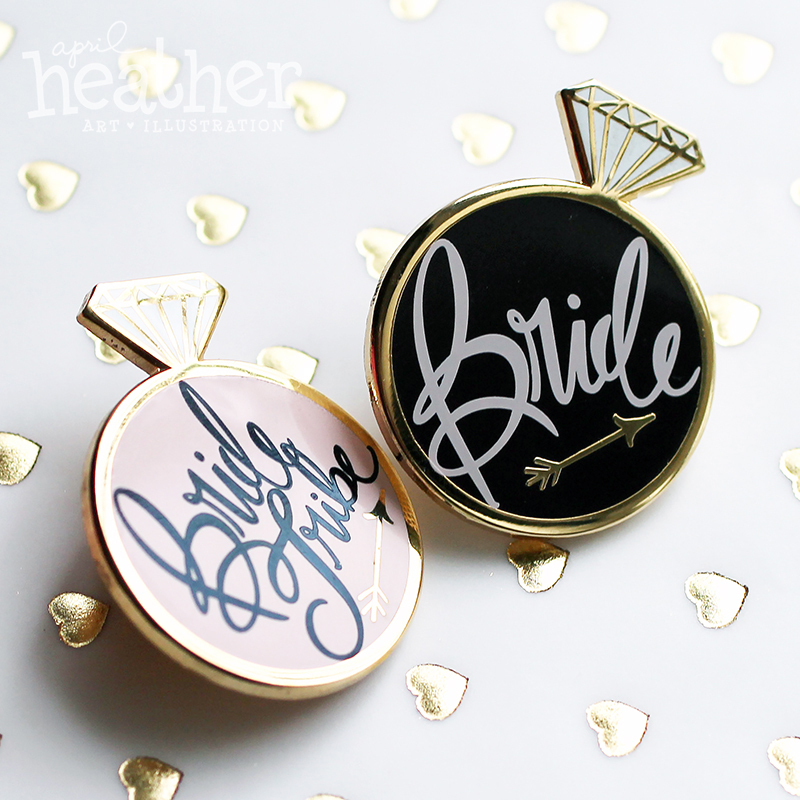 Once you’ve said ‘Yes!’, wear this fun keepsake on your lapel. 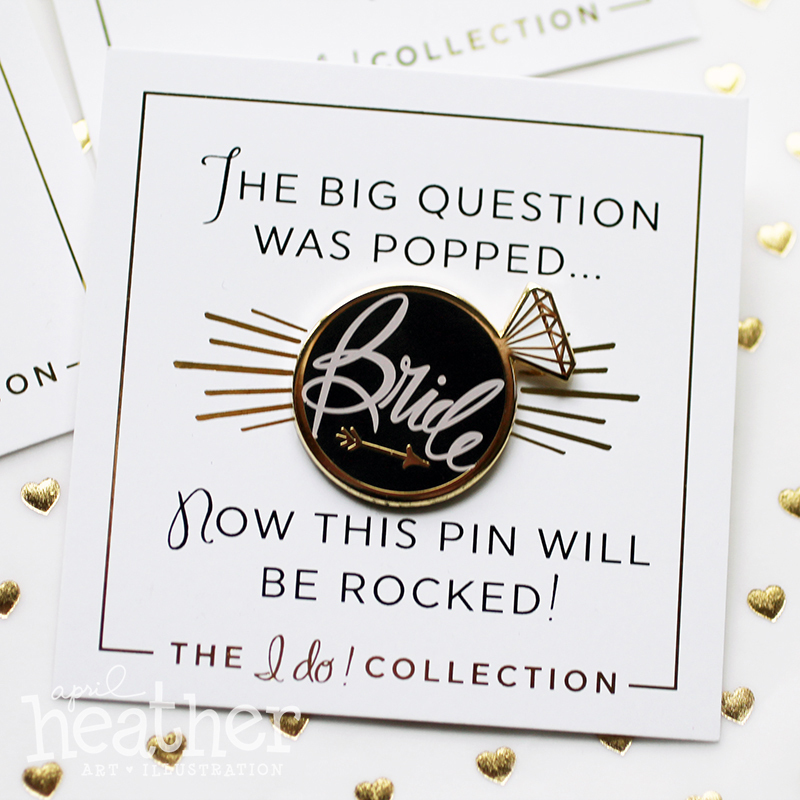 This elegant enamel pin is perfect for engagement parties, bridal showers, girls nights, bachelorette parties – or anytime you want to celebrate your new title as Bride! 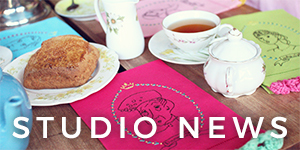 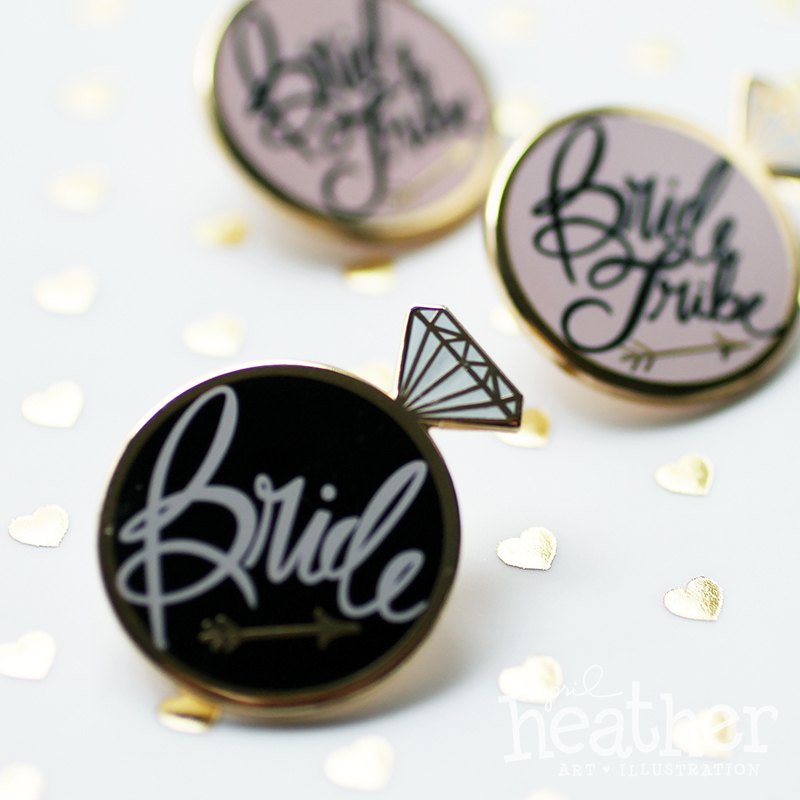 The black and gold enamel pin is 1.25″ round and arrives on a 3″x3″ card with a gold foil design. 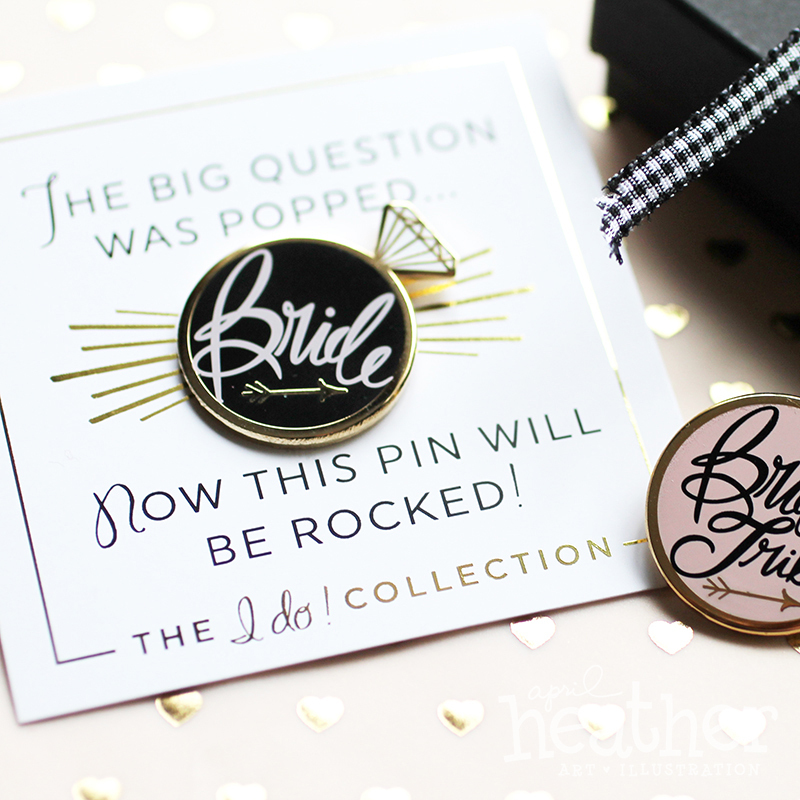 The cards reads: THE BIG QUESTION WAS POPPED – NOW THIS PIN WILL BE ROCKED! 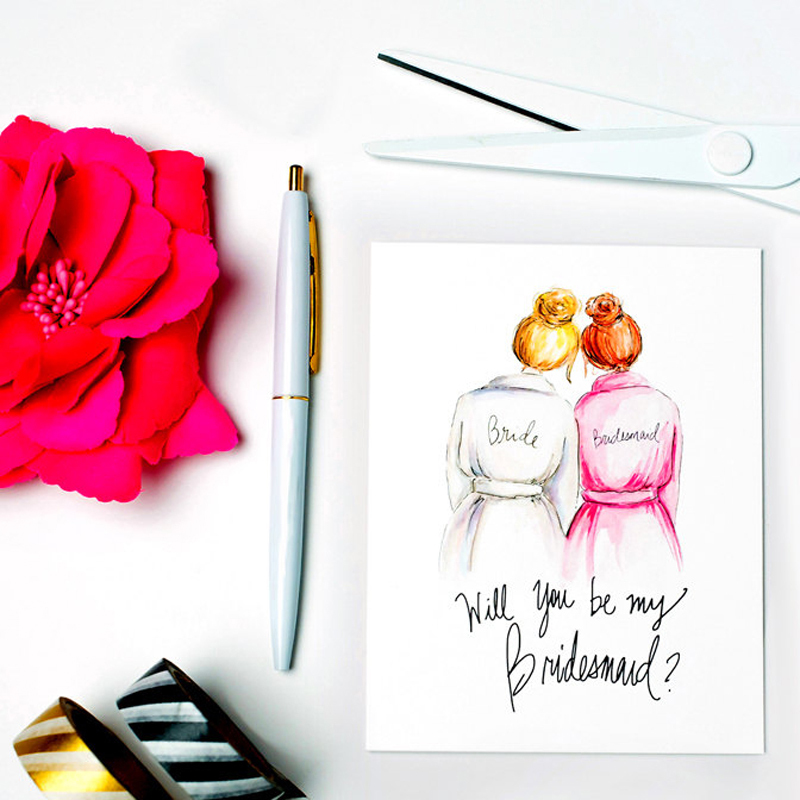 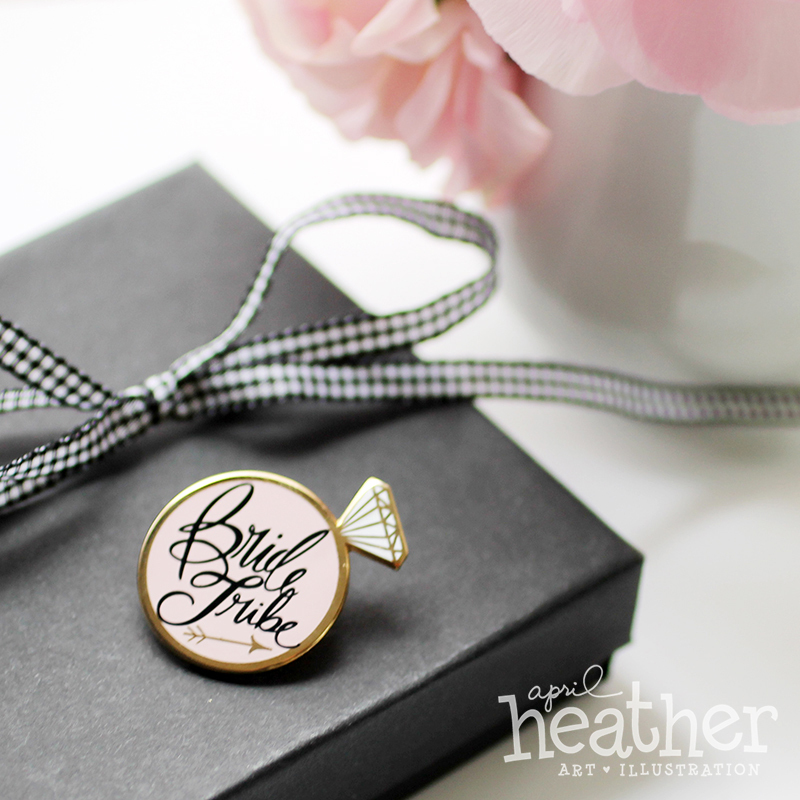 Don’t forget to pin your Bride Tribe! 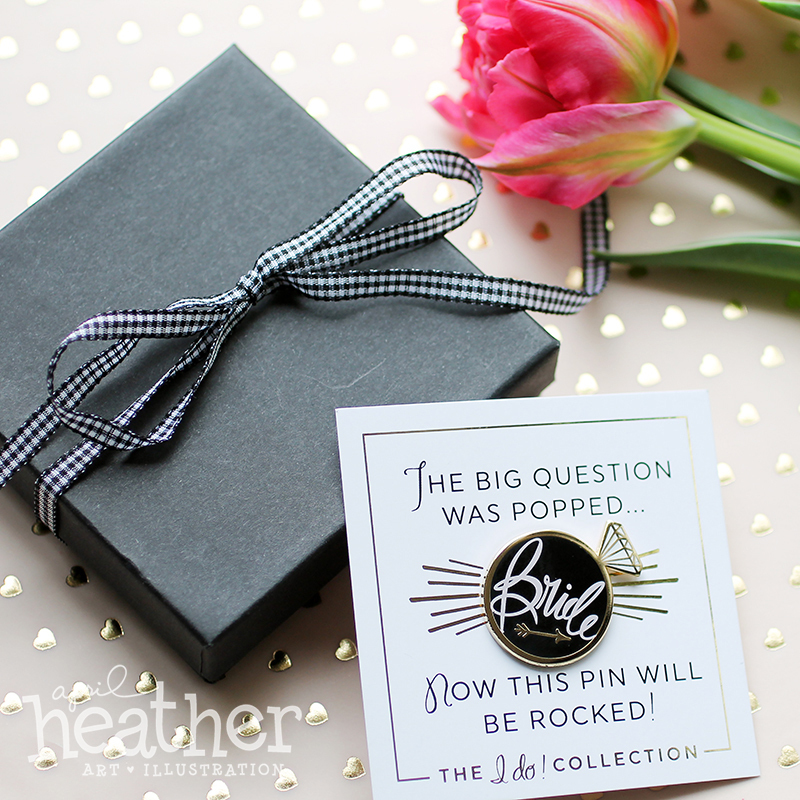 We’ll wrap this special keepsake up in a lovely matte black paper box that measures 3.75″ square and tie it up with a pretty ribbon. 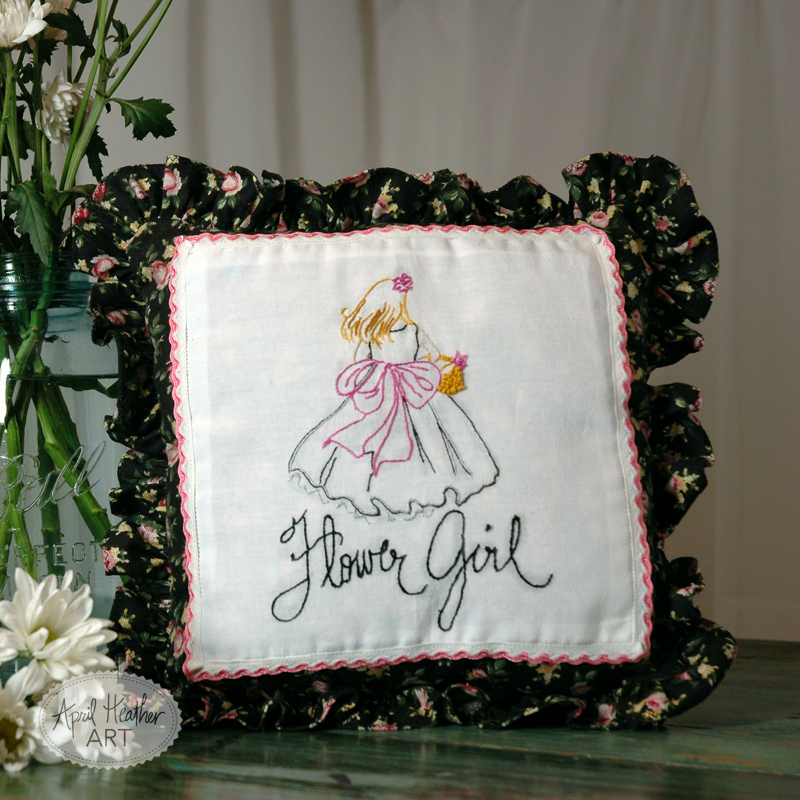 A great gift for the bride at her engagement party or shower!